There is a growing cultural movement that is in response to the spiritual void of capitalism. People, New Yorkers especially, crave a way to convene around core existential values. The Assemblage is a community of sacred co-working and co-living spaces whose members meet at the intersection of capital, technology and consciousness. It has coalesced a cultural apparatus for information sharing that resembles both a rigorous university and a gregarious town hall. The brand has quickly manifested itself into a physical and online hub of stories that ask life’s most important questions and share its truest answers. How to love, how to live symbiotically with the environment, what are the most intense human experiences and what do they tell us about the nature of reality? How to live purposefully- in a daily way that honors these truths. EOTI Studios creates content that attempts to tackle these larger than life dialogues. Through intimate fireside conversations and soaring aerial jungle landscapes, we take the viewer on a journey of self-discovery and awakening. We have produced digital ad campaigns (both live-action and animated), multi-camera live-switching broadcasts, interviews, travel segments, articles and photography. 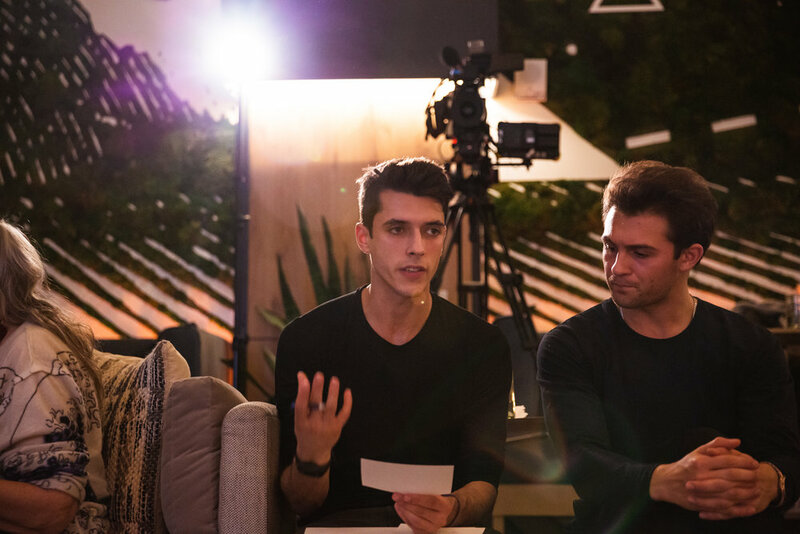 The live broadcasts at The Assemblage bring experts and pioneers across a landscape of industries together to share their truths on topics such as the future of blockchain and the methods of transcendence. Guests we have captured include Deepak Chopra, Jason Silva, Llama Tsultrim, Robert Thurman and many more. Into the jungle, into the future, into the palm of your hand.